According to status, the top four names in the Junior Boys’ Singles event at the Hang Seng 2017 Hong Kong Junior and Cadet Open all reserved semi-final places following success on Saturday 5th August. 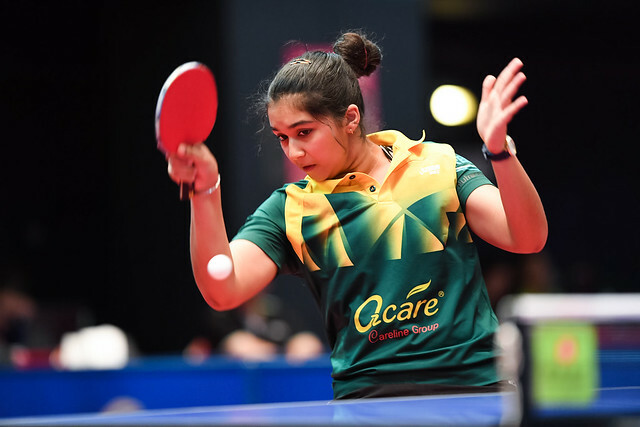 China’s Xu Haidong, Xu Yingbin and Yang Shuo all progressed to the round of the last four, as did Chinese Taipei’s Lin Yun-Ju. No member of the quartet required a deciding game in order to ensure success; however, for Xu Haidong and Xu Yingbin there were moments for thought. After accounting for Chinese Taipei’s Lin Kun-Chung (11-4, 11-8, 9-11, 11-6, 11-7); Xu Haidong, the top seed, needed six games to overcome Lin Hsin-Yang, the no.7 seed and also from Chinese Taipei (11-7, 11-7, 11-5, 8-11, 10-12, 11-7). Similarly, for Xu Yingbin, the no.4 seed, it was a comfortable second round win followed by a more exacting quarter-final contest. He caused Chinese Taipei more heartache by beating Chen Chun-Hsiang (11-4, 11-5, 11-4, 11-7), prior to overcoming Japan’s Kakeru Sone, the no.6 seed, in six games duel (5-11, 10-12, 11-9, 11-2, 11-6, 11-7). Meanwhile, for Lin Yun-Ju, the no.2 seed and Yang Shuo, the no.3 seed, there were no moments of charity. Lin Yun-Ju beat Japan’s Kazuki Hamada (11-8, 11-8, 11-5, 6-11, 11-9) before accounting for Australia’s Rohan Dhooria, the no.17 seed (11-5, 11-2, 11-3, 11-6); Yang Shuo booked his semi-final place courtesy of success against Chinese Taipei’s Feng Yi-Hsin (11-6, 8-11, 11-7, 11-6, 11-9). One round earlier, Yang Shuo had overcome Thailand’s Yanapong Panagitgun, the no.9 seed (16-14, 11-8, 11-9, 11-5). In the semi-final round, Xu Haidong meets Xu Yingbin, Yang Shuo opposes Lin Yun-Ju. No surprises as play progressed to the penultimate stage of the Junior Boys’ Singles event; that was not the situation in the Junior Boys’ Doubles competition. 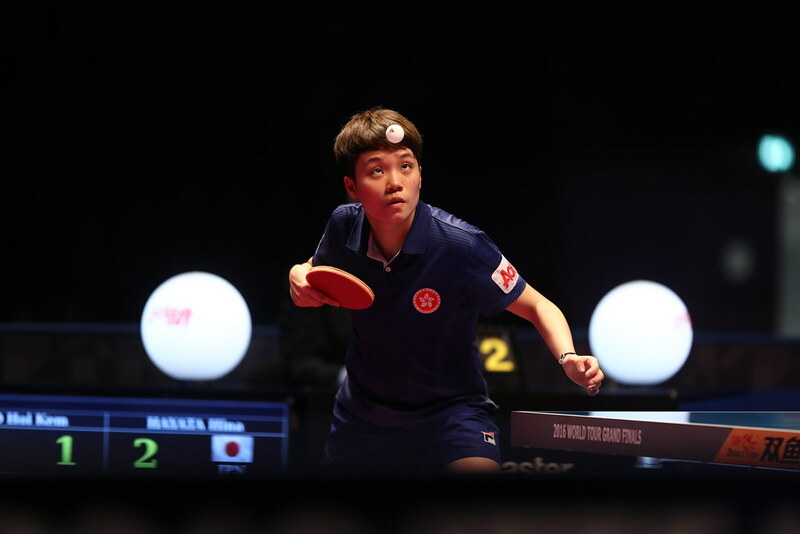 Xu Yingbin and Yang Shuo, the top seeds, progressed as did Li Hsin-Yang and Lin Yun-Jun, the no.2 seeds but for Chinese Taipei’s Chen Chun-Hsiang and Feng Yi-Hsin, the no.3 seeds, alongside Japan’s Kazuki Hamada and Kakeru Sone, the no.4 seeds, there was defeat. At the quarter-final stage Chen Chun-Hsiang and Feng Yi-Hsin suffered against Japan’s Hiroto Shinozuka and Jo Yokotani, the no.5 seeds (8-11, 11-7, 15-13, 11-8); Kazuki Hamada and Kakeru Sone experienced defeat at the hands of Yanapong Panagitgun who joined forces with Singapore’s Gerald Yu Zong Jun (11-9, 11-9, 11-8). Success for Yanapong Panagitgun and Gerald Yu Zong Jun; at the semi-final stage they meet Li Hsin-Yang and Lin Yun-Jun; Xu Yingbin and Yang Shuo oppose Hiroto Shinozuka and Jo Yokotani.